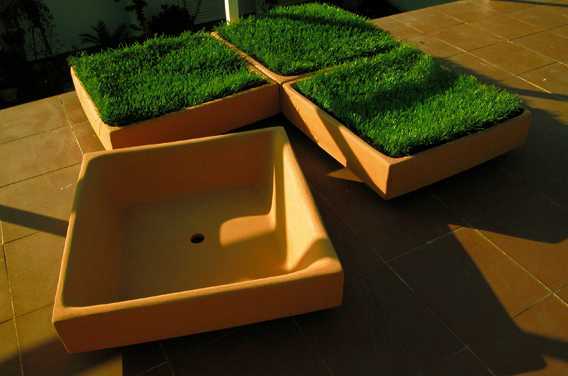 Grass Tile designs for outdoor rooms is a creative backyard or balcony decorating idea from Causas Esternas. Grass tiles are a blend of nature inspired design and modern flooring ideas that allow to change floor decor as often as you wish. Usually the grass is a continuous surface that can be used as a pavement. Grass Tile allows you to have a natural floor on your balcony or terrace, adding a splash of green color and natural texture to your outdoor rooms. 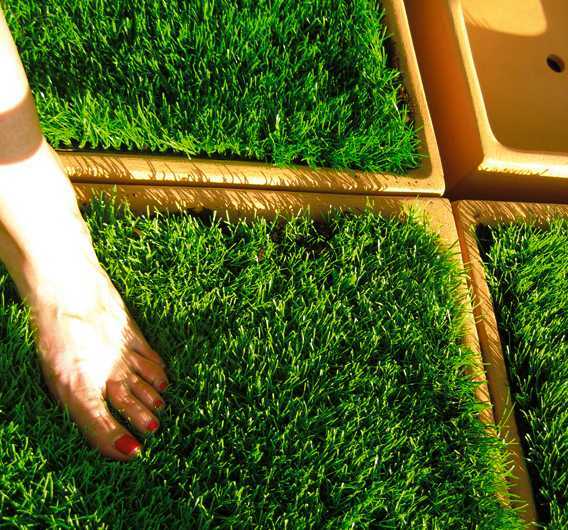 Grass tiles are unusual, simple and elegant containers for growing green grass anywhere you want. 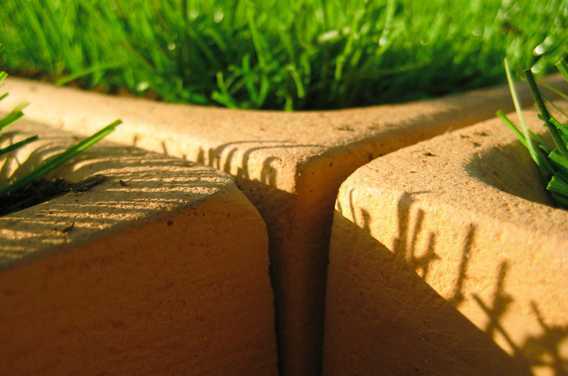 Grass Tile is a piece of countryside, an ideal accessory for apartments and small houses with no garden. Grass Tiles are eco friendly products that can be used in either indoor or outdoor rooms. Grass tiles size is 40 cm x 40 cm x 10 cm (16″ x 16″ x 4″). Made of red terracotta by molding, these tile designs look like cute home decorations that can dramatically transform floor decor in modern interiors and outdoor rooms. Used as floor plant containers and flooring material, Grass Tiles are a unique way to enjoy green design and the nature in the comfort of your home.